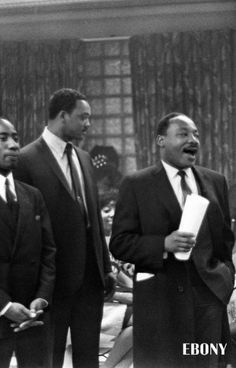 Jesse Jackson, Joan Baez, Ira Sandperl and Martin Luther King Jr.
Francis Schaeffer pictured in his film WHATEVER HAPPENED TO THE HUMAN RACE? It started with the acceptance of the attitude basic in the euthanasia movement, that there is such a thing as life not worthy to be lived…. …. The first direct order for euthanasia was issued by Hitler on Sept. 1, 1939…. All state institutions were required to report on patients who had been ill for five years or more or who were unable to work, by filling out questionnaires giving name, race, marital status, nationality, next of kin, whether regularly visited and by whom, who bore the financial responsibility and so forth. The decision regarding which patients should be killed was made entirely on the basis of this brief information by expert consultants, most of whom were professors of psychiatry in the key universities. These consultants never saw the patients themselves. The Nazis set up an organization specifically for the killing of children, which they called, “Realm’s Committee for Scientific Approach to Severe Illness Due to Heredity and Constitution.” Children were transported to the killing centers by “The Charitable Transport Company for the Sick.” “The Charitable Foundation for Institutional Care” collected the cost of killing the children from the relatives, who did not know that they were paying to kill their own kinfolk. The cause of death was falsified on the death certificates. [Francis A. Schaeffer and C. Everett Koop, M.D., Whatever Happened to the Human Race? (Old Tappan, NJ: Fleming H. Revell Company, 1979), pp. 103-107]. It hasn’t been too far back in the history of the United States, that black people were sold like cattle in our slave markets. For economic reasons, white society had classified them as “nonhuman.” The U S Supreme Court upheld this lie in its infamous Dred Scott Decision. 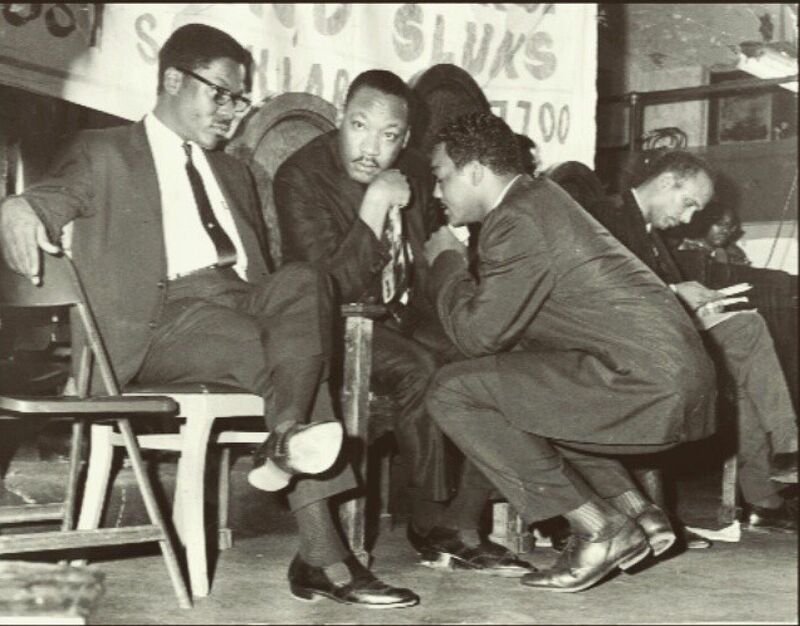 Dr. Martin Luther King Jr. speaking as Rev. 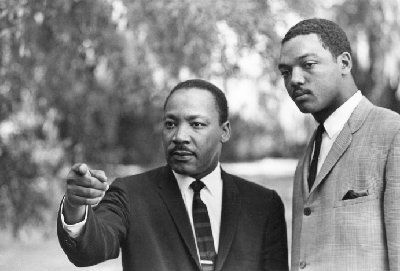 Jesse Jackson listens on. Twenty-five years after Rev. Jackson’s prediction, we have seen 45,000,000 preborn children killed for convenience and money. There is no telling how many newborns have been sedated and deliberately left to die of starvation. For a former “insider” expose of the brutal and woman-exploiting abortion industry, read Carol Everett’s book, Blood Money (Sisters, OR: Multnomah Press Books, 1992). Her book tore at my heart. It spoke of how degenerate a part of the medical community had become. Carol Everett later found Christ and now ministers hope and healing. The infamous pathologist Jack Kevorkian has grabbed headlines by murdering sick people. But, secretly in the hospitals, how many old and sick people have been “put to sleep” by other physicians simply by administering an overdose of medication, or by withholding needed medication? I was touched, influenced and inspired by the ideas of Bill Bennett. See William J. Bennett, The De-Valuing of America—The Fight for Our Culture and Our Children (New York: Simon and Schuster, 1992). The death of Nat Hentoff a couple of weeks ago was movingly memorialized for First Things by William Doino. Hentoff was truly a remarkable individual with a sharp, consistent mind and a very broad range of friends and readers. I first came across his work when I emigrated in 2001 and bought on a whim a remaindered copy of his autobiography, Speaking Freely. Little did I know that his love (and mine) of freedom of speech in the civic sphere would soon be jeopardized by those who fail to understand—or perhaps who understand just too well—that free speech means the right of my bitterest opponents to articulate their most reprehensible views in the public square. Hentoff was a man of the left, but he was also a libertarian on matters of freedom and an evangelist for the same. Indeed, his children’s novel, The Day They Came to Arrest the Book, became a staple in our house, with both of our boys reading it, loving it, and taking its message to heart. There is one passage in Speaking Freely (177-78) that offers disturbing insights into modern political culture. Hentoff quotes a certain politician on abortion: “What happens to the soul of a nation that accepts the aborting of the life of a baby without a pang of conscience? What kind of society will we have twenty years hence if life can be taken so casually?” He also quotes the same politician on the right to privacy: “There are those who argue that the right to privacy is of a higher order than the right of life. That was the premise of slavery. You could not protest the existence or treatment of slaves on the plantation because that was private and therefore outside of your right to be concerned.” This politician had himself almost been aborted, and he saw the clear connection between the dehumanizing of a child in the womb and racial oppression, in that both involve a denial of real personhood to a human being. Later on, this politician decided to run for president and magically changed his mind on abortion. His name? Jesse Jackson. Of course, Jackson had no arguments for his change. He changed, as Hentoff pointed out, when he wanted to run for president. He is the quintessential politician in an era of mass media and entertainment, where politicians’ views are too often shaped by the perceived direction of the popular wind. That is a tragedy, for opinion polls are more a means of shaping public opinion than of reflecting it. Have you noticed that they continue to be paraded by the media after Brexit and Trump? The media clings so very tightly to its manipulative ideological necromancy. And sadly, politicians today are too often the successors of the Jacksons, not the Hentoffs—selling their consciences to whatever and whoever they think will get them the necessary votes. We need politicians of conviction, not spineless puppets of popular taste. The politicizing of the issue of abortion has done little more than trivialize human personhood. The career of Jesse Jackson is a great and pitiful example of this. As was, in an opposite way, the career of Nat Hentoff. He may have been an atheist, but he understood that human personhood is not a function of the ballot box, the focus group, or the latest opinion poll. A few weeks ago we had the pleasure of browsing Patti Smith’s “Camera Solo” at the AGO, and really got an opportunity to get an inside glimpse of the one-of-a-kind artist and human being. Her works are exhibited in a sparse open gallery with a few antique chairs for sitting, on top of an aptly bohemian rug you most definitely would find in her own living space, surrounded by her snapshots and polaroids, her letters, her drawings, and beloved objects from her past all come together to expose the tender romantic heart beneath that hard rock shell you might at first perceive her. There are photographs of her children, and of her idols (Frida Kahlo’s bed, Nureyev’s ballet shoe, Walt Whitman’s tomb, and of course her beloved Mapplethorpe, who understandably is a resonating force in her life and work), and they are displayed with the kind of simple black-and-white wisdom she must have come to understand over the course of her life. Now 66 years old, her soul seems as vital and vibrant as ever. And while we will always remember her as the Punk Rock Queen, her “Camera Solo” really helps display her sense of bohemian elegance. The mix of old and new is obviously something of great interest to us here at The Eye of Faith, and Patti Smith does well to juxtapose her personal memories, the memories of others, and the present day, all in a peaceful vortex of still life serenity. There is the sense of a true individual, a libertinian quality, in everything showcased. 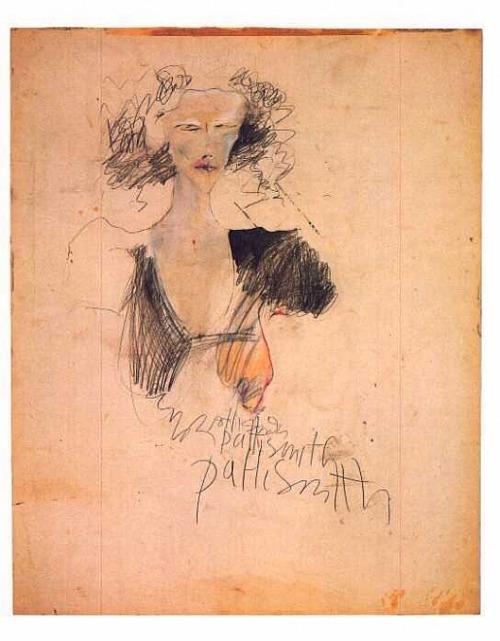 The sum of the parts, are nothing without her own experience, and thereby no singular person could recreate the moments captured forever by Patti Smith in her writing, drawings, music, film, and photography. Indeed, she is quite the Renaissance woman, and so we thought it apropo to put together a collection of some of our favourite images of the Rebel Goddess, and hopefully ignite that same age old wisdom and passion Patti Smith inherently seems to possess. And though she is known for her punk rock roots, it was great to see such a refined vision. There wasn’t that garbage, safety pin, and spray paint aesthetic some people immediately cling to when you say “PUNK”. If you think about it, it’s just a state of being that denies following the “norm”. Being “punk” says you’re doing it your way. No apologies. That’s where her divine sensibility sets in for us. So as you look through these photos, just let it take over. You don’t have to be right all the time. Just feel it, and let it just be. Artist are traditionally resistant to labels. Patti Smith’s “Camera Solo” is running through until May 19 at theAGO, so don’t miss out on the opportunity to spy through the window of a true punk rock soul. Also check out her official website for concerts and other details. To me, punk rock is the freedom to create, freedom to be successful, freedom to not be successful, freedom to be who you are. It’s freedom. 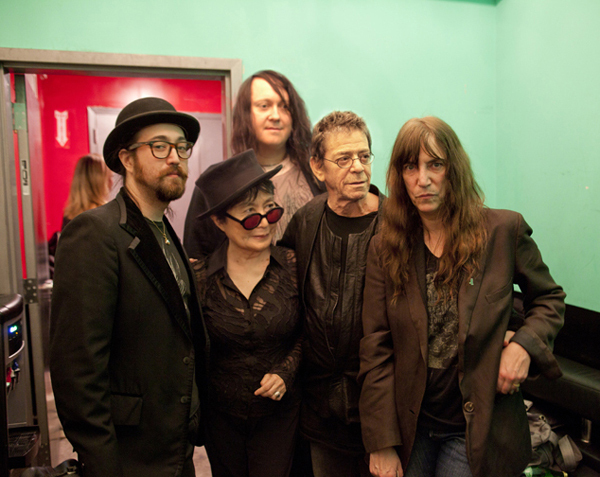 Sean Lennon, Yoko Ono, Antony Hegarty, Lou Reed, Patti Smith. ©2011 Timothy Greenfield-Sanders, courtesy of Yoko Ono. 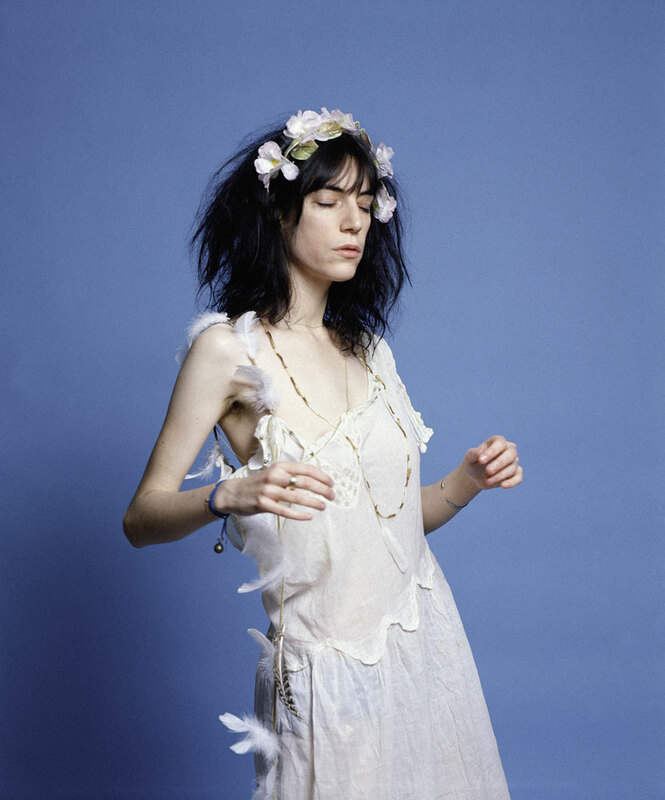 Born on December 30, 1946, in Chicago, Illinois, Patti Smith is a singer, writer and artist who became a highly influential figure in the New York City punk rock scene. After working on a factory assembly line, she began performing spoken word and later formed the Patti Smith Group (1974-79). Her most famous album is Horses. Her relationship with Fred “Sonic” Smith caused a hiatus in her singing career, but she returned to music after his untimely death. She went on to release more than 10 albums. Singer, songwriter and poet Patricia Lee Smith was born on December 30, 1946, in Chicago, Illinois. She was the eldest of four children born to Beverly Smith, a jazz singer turned waitress, and Grant Smith, a machinist at a Honeywell plant. After spending the first four years of her life on the south side of Chicago, Smith’s family moved to Philadelphia in 1950 and then to Woodbury, New Jersey, in 1956, when she was 9 years old. As a child, Smith also experienced gender confusion. Described as a tomboy, she shunned “girly” activities and instead preferred roughhousing with her predominantly male friends. Her tall, lean and somewhat masculine body defied the images of femininity she saw around her. It was not until a high school art teacher showed her depictions of women by some of the world’s great artists that she came to terms with her own body. Smith attended Deptford High School, a racially integrated high school, where she recalls both befriending and dating her black classmates. While in high school, Smith also developed an intense interest in music and performance. She fell in love with the music of John Coltrane, Little Richard and the Rolling Stones and performed in many of the school’s plays and musicals. 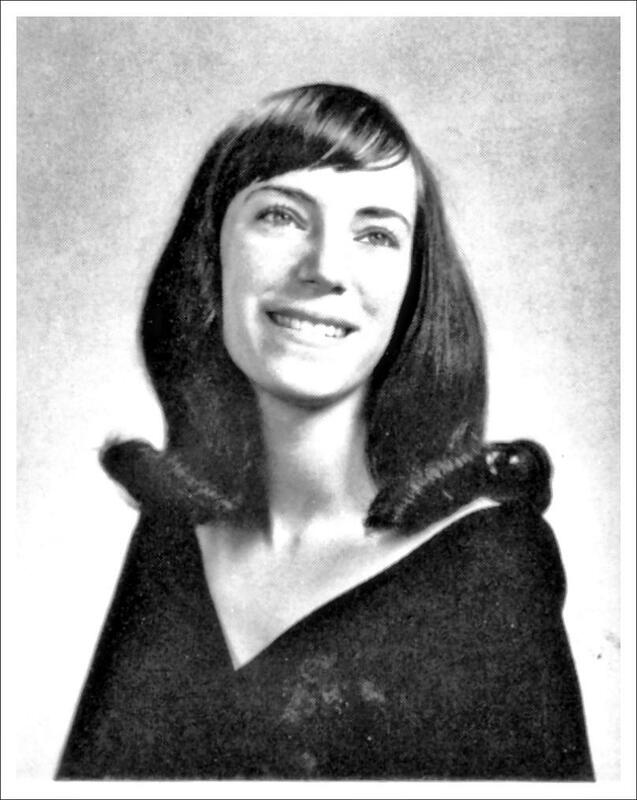 Upon graduating from high school in 1964, Smith took a job working at a toy factory—a short-lived but terrible experience that Smith described in her first single, “Piss Factory.” Later that fall, she enrolled at Glassboro State Teachers College—now known as Rowan University—with the intention of becoming a high school art teacher, but she didn’t fare well academically and her insistence on discarding traditional curricula to focus exclusively on experimental and obscure artists did not sit well with school administrators. So in 1967, with vague aspirations of becoming an artist, Smith moved to New York City and took a job working at a Manhattan bookstore. Smith took up with a young photographer named Robert Mapplethorpe, and although their romantic involvement ended when he discovered his homosexuality, Smith and Mapplethorpe maintained a close friendship and artistic partnership for many years to come. Choosing performance poetry as her favored artistic medium, Smith gave her first public reading on February 10, 1971, at St. Mark’s Church in the Bowery. The now legendary reading, with guitar accompaniment from Lenny Kaye, introduced Smith as an up-and-coming figure in the New York arts circle. 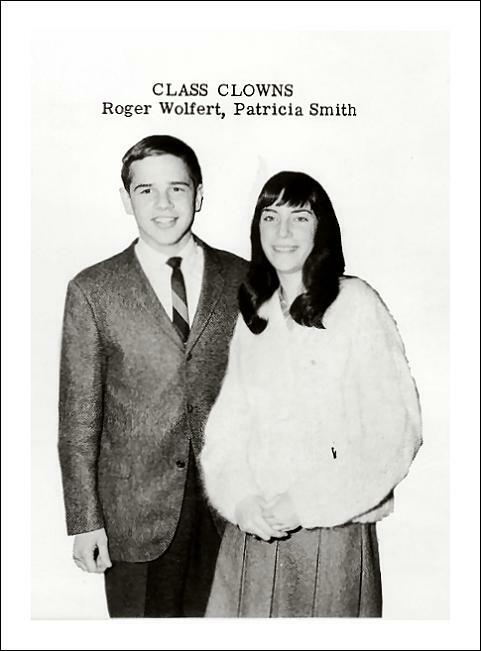 Later the same year, she further raised her profile by co-authoring and co-starring with Sam Shepard in his semiautobiographical play Cowboy Mouth. Over the next several years, Smith dedicated herself to writing. In 1972, she published her first book of poetry, Seventh Heaven, earning flattering reviews but selling few copies. Two further collections, Early Morning Dream (1972) and Witt (1973), received similarly high praise. At the same time, Smith also wrote music journalism for magazines such as Creem and Rolling Stone. Smith, who had experimented earlier with setting her poetry to music, began to more fully explore rock ‘n’ roll as an outlet for her lyric poetry. In 1974, she formed a band and recorded the single “Piss Factory,” now widely considered the first true “punk” song, which garnered her a sizeable and fanatical grassroots following. The next year, after Bob Dylan leant her mainstream credibility by attending one of her concerts, Smith landed a record deal with Arista Records. Smith’s 1975 debut album, Horses, featuring the iconic singles “Gloria” and “Land of a Thousand Dances,” was a huge commercial and critical success for its manic energy, heartfelt lyrics and skillful wordplay. The definitive early punk rock album, Horses is a near-ubiquitous inclusion on lists of the best albums of all time. Re-billing her act as the Patti Smith Group to give due credit to her band—Lenny Kaye (guitar), Ivan Kral (bass), Jay Dee Daugherty (drums) and Richard Sohl (piano)—Smith released her second album, Radio Ethiopia, in 1976. The Patti Smith Group then achieved a commercial breakthrough with its third album, Easter (1978), propelled by the hit single “Because the Night,” co-written by Smith and Bruce Springsteen. Since then, Smith has remained a prominent fixture of the rock music scene with her albums Peace and Noise (1997), Gung Ho (2000) and Trampin’(2004), all of which were highly praised by music critics, proving Smith’s ability to reshape her music to speak to a new generation of rock fans. Her 2007 album, Twelve, featured Smith’s take on a dozen rock classics including “Gimme Shelter,” “Changing of the Guards” and “Smells Like Teen Spirit.” Smith followed with the critically acclaimed Banga (2012), proving that after 35 years of music and 11 albums, she is ever evolving. One of the pioneers of punk rock music, a trailblazer who redefined the role of female rock stars, a poet who unleashed her lyrical talent over powerful guitars, Patti Smith stands out as one of the greatest figures in the history of rock ‘n’ roll. After four decades, Smith finds her continued motivation to write and make music in the unfairly shortened lives of her loved ones and the needs of her children. In 2010, Patti Smith published her acclaimed memoir Just Kids, which gives readers a personal glimpse into her prototypical “starving artist” youth and her close relationship with photographer Robert Mapplethorpe during the late 1960s and 1970s in New York City. The work became a NY Times bestseller and received a National Book Award. In 2015, Showtime Networks announced it would be developing a limited series based on the book. Patti Smith talks to music writer Anthony DeCurtis about how she became an artist, what happens when she performs on stage, her relationships to the dead and her artistic process. Anthony DeCurtis: One of the really interesting things about the film is that it’s very much a portrait of an artist. You’re talking about and engaging with William Blake and Jackson Pollock and Arthur Rimbaud. It made me think of the quote that’s on the back of your album Radio Ethiopia, “Beauty will be convulsive or not at all,” and reminded me of the tradition of artists that you’re drawn to. Could you talk about the first time you read Blake, the first time you read Rimbaud, the first time you looked at a Pollock painting? What did you draw from those experiences, and how did you use those experiences? Patti upon the stairs. Chelsea Hotel, New York, 1996. Photographer by Steven Sebring. 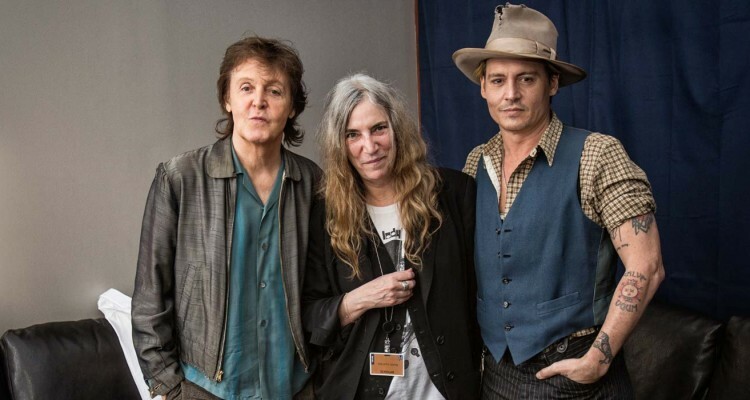 Patti Smith: I remember all of those experiences, actually. I was an avid reader as a child, and my mother gave me a copy of “Songs of Innocence” by Blake, so that was my entrance into Blake. The first time I saw art was when my father took us on a trip when I was 12. My father worked in a factory, he had four sickly children, my parents had a lot of money problems and we didn’t go on excursions often. But there was a Salvador Dali show at the Philadelphia Museum of Art that included the painting “The Persistence of Memory,” and my father found Dali’s draftsmanship just astounding, so he wanted to see the show in person. So he dragged us all to the museum. I had never seen art in person before. And seeing paintings – seeing work by Picasso, John Singer Sargent – I was completely smitten, I totally fell in love with Picasso and I dreamed of being a painter. All of these things, every time I’ve seen art that I’ve responded to, what I’m responding to is that moment of creative impulse – and that’s something Steven and I have always worked with. The moment of creative impulse is what an artist gives you. You look at a Pollock, and it can’t give you the tools to do a painting like that yourself, but in doing the work, Pollock shares with you the moment of creative impulse that drove him to do that work. And that continuous exchange — whether it’s with a rock and roll song where you’re communing with Bo Diddley or Little Richard, or it’s with a painting, where you’re communing with Rembrandt or Pollock — is a great thing. We long for those moments, and it was so nice to work with Steven on this film because we could look for those moments within ourselves; he was interested in everything I was interested in. If I wanted to drag him to a graveyard in the middle of the afternoon, in the middle of London traffic, to say hello to William Blake’s grave, he was right there. It was fun and it was also beautiful for the spirit. We both wanted to share this with other people. A lot of people might love William Blake but never get to go visit his grave. So we wanted to take them with us. 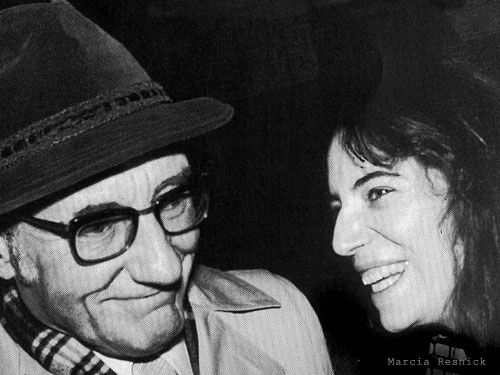 DeCurtis: We also see you with your children, and we see your very warm relationship with your parents in Patti Smith: Dream of Life. Can you talk about your relationship to them and about your family life? Smith: I love my family. My parents struggled very hard; they had three kids in quick succession right after World War II, and we were all sickly. My dad worked in a factory; my mom was a waitress. They had a lot of strife. My father was a dreamy fellow – he read Plato and Socrates and watched Phillies games. My mother was the real worker, and she did everything for us. She always made any situation a happier situation. If there was no food except for potatoes in the house, she would make a mountain of French fries and say, “We’re going to have a French fry party!” We’d say, “Yay,” and sit around eating French fries, not realizing that it was hard for her because she was the mother of four children who had nothing else to give her kids to eat. She made it exciting and fun. I have great respect for my parents. I got such beautiful things from both of them. It doesn’t mean that we didn’t have our rough times, but they were remarkable people who were open-minded, creative and hard-working and had great senses of humor. They set really good examples for all of us. I love my family, and I know it’s not normal, because when I came to New York, everybody thought I was crazy when I would tell tales of my childhood and of my mom and dad. I was seen as abnormal because I loved my family. But I did love my family. They were great people. DeCurtis: You mentioned coming to New York City. What were your impressions of New York when you came here? Smith: I was raised in rural south Jersey, and there was no culture there. There was a small library and that was it. There was nothing else. I loved my childhood, I loved my siblings, I loved being a child, but I craved culture. Once I saw art I wanted to see more art. I fell in love with opera and I dreamed about going to the opera. But there was nothing in New Jersey, and the first time I went to New York City, I was in total heaven. I had been made fun of a lot growing up, because I was a skinny kid with long greasy braids who dressed like a beatnik. I didn’t really fit in where I grew up; I didn’t look like the other girls – I didn’t have a beehive. And in New York, suddenly I just blended in with everybody else. Nobody cared. I didn’t get stopped by the cops. I wasn’t yelled at from cars. I was just free. And I think that’s what New York represented to me more than anything – freedom. DeCurtis: Getting back to your family, and we see you a lot with your family in this film, publicly you’re an important musician and poet and artist. Could you talk about the two sides of you – a public identity that’s out in the world and the day-to-day, family aspect of your life? Patti in private studio session at Sebring Studio. New York, 1999. Photographer by Steven Sebring. Smith: Well, I don’t have two separate personas. When I’m onstage and working, I channel different things, including aspects of aggression or anger or political fervor that I keep more balanced offstage. But I’m not really that different offstage from how I am onstage, and I’ve never really been interested in being a celebrity. I just want to be able to do my work and converse with the people. And I don’t like a lot of fuss. So I’ve pretty much always stayed the same. At home, I was a mom. My kids didn’t even know I did anything, except tend to them. Even now – and they comprehend my work, they’ve worked with me, they’ve all performed with me in front of thousands of people – they still look at me as their mom, the person who’s going to sew a button, tend to them if they’re sick or remember their father with them. I don’t have a separate identity at home with my kids, and I don’t want one. DeCurtis: There are a few times when you talk about death in the film. You talk about your brother having died and you being infused by his spirit, in a sense. And you also mention Allen Ginsberg’s call to you when your husband died, Allen saying, “Continue the celebration.” Death is obviously a terrible thing, but you seem, somehow, to have found a way to take something from it and make the dead part of your ongoing life and work. Can you talk a little about that? Smith: I’ve had to find a way to take something from death. I experienced death as a child: My best friend died of leukemia when I was about seven or eight. I learned early that we lose people. Then, going through the death of Robert Mapplethorpe was so devastating and difficult. Our friendship was so deep, and his consciousness was so intertwined with mine because we bonded so young, that I knew he would still be with me when he died. And he was with me, even more, it seemed, once he died. That taught me a lot. It didn’t make things less painful for me, in terms of the people I lost after Robert, but it proved to me that our people are still with us if we keep our minds, ears and hearts open. It’s nothing mystical; it just is. 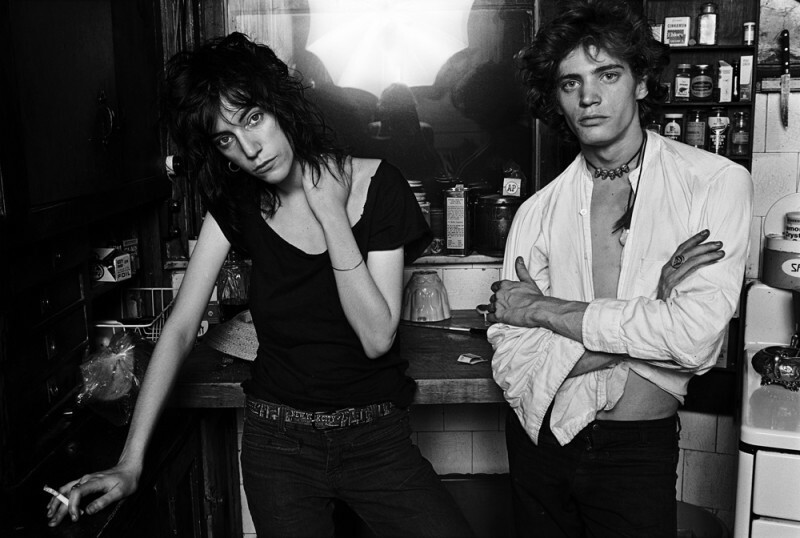 A young Patti Smith with Robert Mapplethorpe. I’ve learned from Robert since he died, argued with him, walked quietly and seen him sitting. Each person that passes away passes away differently, and your communication with them is different. With my brother, as I said in the film, it’s a feeling of love. Sometimes I’ll be sitting somewhere and I start laughing. I can’t even talk about him without laughing. He makes me laugh; he makes me smile. And each loss, whether it’s my husband or my parents, presents me with an unexpected, unique and different way to communicate with the dead as I go through life. There’s a certain beauty in that. It doesn’t take away the sorrow or the longing to see a person in his or her earthly state, but if we lose that possibility – the possibility of a person in his or her earthly state – there is still a multitude of other possibilities. Pasolini said that it is not that the dead do not speak, it’s just that we have forgotten how to listen. And that made a lot of sense to me. We have to just let go of our expectations and see how they talk to us. Each person we lose will speak to us, but in a different way. Sometimes it’s a flutter of feeling and sometimes they’ll bug you. DeCurtis: I also wanted to ask you about performing, and the transformation that takes places within you when you’re onstage. Smith: Well, I curse more onstage than I do in real life. Even my kids are like, “Mom, what are you doing?” But it’s just adrenaline, really. I’m a natural performer. I like being in front of people; I like working with people; I like making them laugh; I like inciting their spirits or minds. But I was always like that – I was like that as a kid. I led my siblings into battle and I wrote plays for us to perform. When I was younger, I thought of being a schoolteacher so I would have a ready audience every day. And I have no fear on the stage – it’s friendly territory for me. I fear a dinner party with strangers a hundred times more than getting on a stage in front of 70,000 people. I like communicating with the people. I like channeling their energy and giving it back to them. During this transitional time in which I began performing again after a long time away from it, which Steven rode out with me, it didn’t take me that long to get my footing. It was more a matter of transitioning through other things, where I had to find my balance as a human being. But the people were so great. They were happy that we were back. DeCurtis: I remember going to a reading that you did in Central Park in the early 1990s. Smith: That was the first time I had appeared in New York City in 14 years or something like that. And [my husband] Fred and my brother were both still alive. It was 102 degrees or something like that in New York City, and I was so nervous, I was afraid the whole time we were driving up to New York. I didn’t know if anybody would come or if they would remember me. And Fred was saying, “Oh, they’ll be there,” and my brother was saying “Don’t worry, there’ll be lots of people.” And there were. There were lots of people! There was a moment when I was standing onstage and all of a sudden I froze. I think I was trying to recite “People Have the Power.” I froze, and in the corner of my eye I could see both my brother and my husband advance just a little toward me. They could feel me being frightened. I saw them coming toward me and I took a breath and pulled myself together. I was really surprised that all those people came. It was really great. DeCurtis: The level of intensity there was so powerful. Smith: It was just a poetry reading, and it was so exciting. DeCurtis: Everybody came, and they were all almost transformed by being there. Patti in concert. London, 2005. Photographed by Steven Sebring. Smith: Yeah, it was really like a gathering of the tribe, that’s one thing I remember. I saw people out there that I hadn’t seen in over a decade, and people were there seeing one another. It was a beautiful moment. But that’s one of the great things about performing, and one reason to stay healthy and stay in communication with the people, because performing is a continual gathering of the tribe. The tribe does shift. We’ll have performances where I look out and everyone is younger than my daughter. And I think, what a compliment, you know that the new young tribe would come to see what we’re doing and give us some energy. I feel it’s our duty to take this energy that they give us, transform it and give it back to them. Performing is a beautiful thing. The way I look at it, it’s not playing or singing at people; it’s creating a night and an experience with them. And it’s what keeps me going actually. I never thought I’d still be performing at 63, but it still comes, and I’ll be there. DeCurtis: Patti, can you talk about yourself as an artist? Not just being a songwriter or a singer, but the romantic sense that if you’re an artist, you bring an artist’s eye to everything that you do. Smith: Absolutely, I believe that. And I learned that through other artists. As a very young girl, I learned that William Blake painted, wrote songs, was an activist, wrote these poems, had a philosophy and was a visionary. Leonardo da Vinci was a scientist and an artist. Lewis Carroll was a photographer, a writer and a poet. I was very comfortable with this idea at an early age. I find the people who are uncomfortable with this idea are often journalists. They think that if you sing rock and roll you must be an idiot, and that you can’t possibly be a scholar, or write a book about jazz or paint with any depth. For me, I’m a worker, and I do everything with the same conviction, whether I’m taking photographs or performing or painting or writing. I’m the same person. In the same vein, if you’re doing a performance for four or five people, you do it with the same conviction as when you go on stage and there are 40,000 people. You don’t do things by degrees. If one has a vision, then one brings that vision into everything they do. Robert Mapplethorpe worked like that, in constructions, in the way he dressed – everything was art for Robert. Waiting for Robert to get dressed was such a nightmare because he would work on his outfit with the same fervor as he did on a collage or a construction. Of course, I’m just joking, but there is a certain amount of truth in saying that people don’t put away their aesthetic awareness as they jump from ship to ship. On the other hand, I admire people who have one vocation. Joan Mitchell said, “I’m a painter. That’s all I do. That’s all I know how to do.” When I heard that, I wished I were like that, that I had one vocation and put everything in. But I just didn’t turn out that way. It’s not the way that I am. I would be lying or I would have to submerge other aspects of myself to be like that. But I think it’s a beautiful thing. It’s just that I’m just not like that. DeCurtis: I asked Steven what he learned from you. What did you learn from working with him? Smith: Working with Steven, especially at the time that I met him, did so much to strengthen my confidence that things can be done. It transformed me. He’s unbelievable. He does these things on such a scale. To watch him get an idea was amazing. He looked at my things. He took pictures of them on a light box, and the next thing you know he blew them up and had these frames made and they wound up in the film. As modest as he is, he’s quite fearless; with seemingly not many resources, he saw this project through. And that actually has been one of my shortcomings. I leave a lot of poems abandoned, songs abandoned, paintings abandoned. Steven finishes things. Seeing this film go from the first moment, over 10 or 12 years, and then seeing it finished makes me realize really anything is possible. So that was a very important lesson. Remembering Nat Hentoff and sharing a letter I wrote him in 2016 about Bob Dylan!!!! Open letter to President Obama (Part 673) Pro-life Atheist Nat Hentoff: Mr. President, did you mean what you said at Notre Dame about “working together to reduce the number of women seeking abortions”? “Sanctity of Life Saturday” Pro-life Atheist Nat Hentoff: Mr. President, did you mean what you said at Notre Dame about “working together to reduce the number of women seeking abortions”? « A look at WASHED OUT!!! !